In honor of Aureole and the outstanding job they did during Restaurant Week, we at ELV thought we’d post a few tasty snaps of the boffo $30.11 and $50.11 meals they served to over a thousand diners. That’s over a hundred RW meals a night served, at a big Strip hotel, to benefit Three Square. 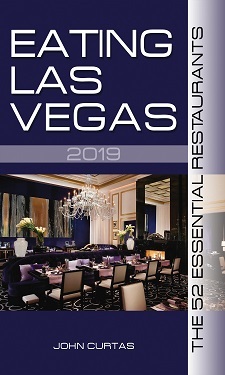 Eating Las Vegas thinks providing menus a two different price points was a great idea (very few top end restaurants bothered with a $30.11 option), and from what we tasted, the flavors popped just as much as the (still spectacular) decor. Congrats to Executive Chef Vincent Pouessel and his crew for cranking out so much great food for so great a cause. This looks like a much better choice than the disappointing Restaurant Week meal we had at RM Seafood….sigh.